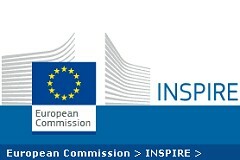 INSPIRE - Infrastructure for Spatial Information in Europe - is a Directive of the European Commission (2007/2/EC of march 14, 2007) that aims to establish an infrastructure for spatial information in Europe, in order to make spatial or geographical information more accessible and interoperable. The interoperability of data and services, available through the Spatial Data Infrastructures (SDI) created by the European member states, is important to support the European Community environmental policies and all the activities which may have an impact on the environment. The European SDI is realized through national nodes, the National Spatial Data Infrastructures, each one coordinating the sub-national level. These infrastructures are interconnected with each other and provide geographic data, metadata, and services, in compliance with the regulations established at the European level (the Implementing Rules) and standards such as those defined by the ISO and the OGC ® for the realization of geoportals. A wide knowledge and skills are needed to cover the different aspects involved in the implementation of solutions compliant with INSPIRE. For this reason, we actively participate to INSPIRE in various working groups, and we are recognized as a Spatial Data Interest Community (SDIC). We are one of the founders of the Italian INSPIRE Forum and members of the smeSpire Network. We have also joined the Open Geospatial Consortium (OGC®) as an associate member, to contribute with our experience in the definition of standards for the interoperability of geographical information. Our experience in the design and implementation of SDI goes from the creation of the European INSPIRE Geoportal for the Joint Research Centre (JRC) of the European Union, to the development of national and local geoportals and SDIs, to the harmonization of data and metadata for their interoperability and reuse. We always see INSPIRE as an opportunity for organizations, citizens and companies, in line with the OpenData strategies and also with the provisions of the European Directive for the re-use of the Public Sector Information (PSI, 013/37/UE of 26 June 2013). We offer training courses, seminars, webinars and workshops about: the implementation of INSPIRE at national level; the methodologies for SDI implementation, both from the technological and organizational point of view; the production of cartography in compliance with INSPIRE data specifications, and the harmonization of existing dataset to fulfill the regulatory deadlines; the correct production of metadata and metadata catalogs, to ensure the compliance with national and international standards.